If you’re a small business owner thinking of getting a loan or some other form of financing, an important consideration to keep in mind is not just HOW MUCH you need to borrow or WHY you need to borrow, but also over HOW LONG OF A TIME PERIOD you will need those funds. Financing that extends for longer than a 18-month period is typically referred to as LONG-TERM FINANCING, while financing that extends over a period from 30 days to 18 months is typically referred to as SHORT-TERM FINANCING. Thus, your primary decision will involve making a choice between long-term financing and short-term financing. An important principle to keep in mind is that the term length of your financing should match up with the term length of your financial needs. Your small business can get into unwanted financial trouble if it tries to use LONG-TERM FINANCING to meet SHORT-TERM capital needs, or if it uses SHORT-TERM FINANCING to meet LONG-TERM needs. If you are a small business owner, you have a choice between various types of financing, and each one of those types of financing has a typical term length (i.e. 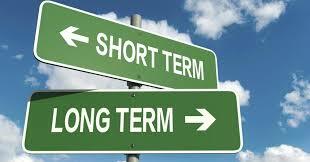 short-term or long-term) associated with it. As you can see, each one of these forms of financing has a specific financial goal attached to it. You wouldn’t take out a big ticket equipment loan to cover working capital needs, just as you wouldn’t take out a series of working capital loans to cover a big ticket equipment purchase. The important principle here is that your SOURCE OF FINANCING should match your FINANCIAL NEEDS. Thus, it’s not just a matter of comparing the AMOUNT OF FINANCING or the TERM LENGTH of your financing. You also have to take into account how the various terms of your financing will impact the ability of your business to become stronger and more profitable over time. As a result, if you are a small business that fits within any of these above categories, you might want to consider an ALTERNATIVE LENDER. An alternative lender is essentially a “non-bank bank.” In other words, it is empowered to make loans to other businesses, but is not encumbered by all the rules and regulations that govern the very heavily regulated banking industry. As a result, an ALTERNATIVE LENDER such as www.SmallBusinessLendingSource.com can make loans to unconventional borrowers, and sometimes in as little as 24 hours. The choice of whether SHORT-TERM FINANCING or LONG-TERM FINANCING is better for your small business really depends on your specific business needs. As a rule of thumb, you will pay higher interest rates for SHORT-TERM FINANCING, but you can often receive this financing far more quickly. In addition, you often have much greater flexibility over how you use this financing than with LONG-TERM FINANCING.